Everything was handled for us. We were collected at the airport, brought to our hotel, we went to get temple passes and covered three temples in a.5 days, Even saw Angkor Wat at dawn. Tea was simply a pleasure to spend time with. He's also an amazing photographer so we have some of the best shots from our trip right there at the Temples. It's not expensive and worth it to not have to deal with figuring where to go, what to do. Plus when we were on our own in the evening Tea had given us a list of things to do and places to go. He was dead on with all his recommendations. I cant say enough good things about this tour group - they are so detail oriented - nothing was missed. My husband and I had the perfect one day tour with Rithy. He picked us up bright and early (4:30 am) and brought us to a secret spot so we could see the sunrise over Angkor Wat. We then took the rest of the morning and afternoon to see a handful of other spots within the complex, including some unique hidden gems that not many people visit. Rithy knew exactly when to go see certain temples to avoid crowds and was so knowledgeable on each one. I wasn’t feeling well that day and Rithy took note without us even mentioning it and even offered to bring me back to the hotel for a quick nap before continuing on our day. He also provided tons of cold water and towels which was amazing! Our guide, Narith, was wonderful. He was knowledgeable, kind, interesting and friendly - with excellent English. Although our initial vehicle had issues with the aircon, they swapped out the van during one of our temple visits - this ensured we were not inconvenienced by waiting and remained comfortable on a roasting day! He even let me hotspot the data on his phone to message my wife; a real gentleman and a credit to his wonderful country. I happily recommend him, this tour, and this company to others. We had the pleasure of 2 full days with Nin, an absolutely wonderful guide. The stories he shared about his harrowing life experiences combined with the depth of his knowledge about the temples, mythology and culture made for a truly educational and enriching experience for our entire family. His English is excellent, his talents are vast and we feel fortunate to have spent this time with him and gain a real understanding of the history and culture of this beautiful country. This was highly recommended by friends with great tour and good price, and it didn’t let us down. The experience was awesome with our tour guide+driver Narith. He helped us to plan everything to fit in our tight schedule. Nothing need to be worried! He was nice enough to prepare cold water and towel for us to cool down. We enjoyed very much and in love with the beautiful Angkor. Definitely will recommend this experience to friends! The ABSOLUTE BEST way to experience Angkor Wat and Siem Reap! I cannot say enough about me and my fiancee's two-day private tour with Rithy. He helped us figure out the best itinerary to maximize our time in Cambodia. He was extremely knowledgeable, providing the perfect amount of history while still allowing us to experience the temples and floating village on our own. We visited in late July so it was very hot, and Rithy provided water and cold towels between stops. This in combination with the air-conditioned SUV made us comfortable and allowed us to beat the heat. ▪Visit ancient royal city of Angkor Thom complex (the best preserved South gate, the smiling-faced Bayon temple and Elephant terrace) - This was our favorite part of the trip! ▪Take private 80 minute boat ride touring Kampong Kleang, the largest and most authentic floating village on Tonle Sab Lake - This was unbelievable. Do not skip this! If you are in Siem Reap, do yourself a huge favor by booking the tour with Rithy. By the end of the trip you won't see him as a guide any longer, but as a friend. The best guide of our trip!! We visited Angkor after a few days in the region and enjoyed immensely spending the day with Rithy and the driver. Rithy, aoart of being fun and with a great sense of humor, is really knowleagable of Angkor and it history and shared with us a great deal of information in a really didactic way. We are a family of 4 with two teenage kids and we alll really enjoyed the day with Rithy, really unforgettable. We have foud few guides with that combination of personal skills, deep knowledge and great logistics (we avoided the crowds by picking the timing and itinerary carefully). On top of that, he is a great photographer, that was an unexpected extra!! If anyone cones to Angkor, I strongly recoomend to use this company, a safe bet! Thanks, Rithy, for making such a wonderful day for all of us!! We booked our sunrise tour with Tea as our guide in April 2016. The tour was worth every cent! We were particularly impressed because we avoided all the crowds and basically had all the temples to ourselves. Because of this, Tea was able to explain the history and meaning behind all the carvings and architecture without getting disrupted by big crowds of tourists. This made a huge difference because it was 40+ degrees and the heat was very unbearable. When we arrived back at the car, our driver made sure the air conditioning was on and gave us cold towels and cold water. I would 100% recommend this tour as Tea was incredibly knowledgeable, funny and knew all the best photo spots and angles. He gives you enough information to allow you to appreciate your surroundings and keeps it really interesting! I have been on my tours throughout my travels and I would say this is one of the best I have been on. Thanks for such a great experience! We came to Cambodia in the very hot days but our trip was excellent. The guide was enthusiastic and informative, Teas. We knew a lot of information in one day from history and culture of Cambodian. The highlight of this trip was enjoying the dawn at the temple. Wonderful. After saw many good reviews on Tripadvisor for Angkor Wat Day tour, we decided to engage Tea services. Communication through email with Tevy is good, she replied promptly. Everything was discussed in details. On the tour day, we were greeted by Tea. He was friendly and informative. He spoke fluent English too.Just the kind of tour guide we need to brief us about the great ancient city of Angkor Wat. He always smiles, and his stories came with lots of jokes in them. We were given wet towel, plenty of drinks and even Angkor beer. He planned the tour carefully and perfectly. The most importantly, he is so kind and honest. So, I hope that you guys will engage their services. I promised you would not regret it. Siem Reap and the temples (especially Angkor Wat at sunrise) have long been on my bucket list and in March I could tick this off. What an amazing experience, made all the better by our exceptional guide Tea of whom we had read glowing reviews. In fact we booked his services five months prior to our visit! He was with us for one full day and two half days which worked perfectly. The order of temple-visiting was well worked out to avoid queues and to be able to take it easier during the hottest part of the days. He was most informative and engaging, with a lovely sense of humour, and he was able to give us considerable insight into Cambodia and its lovely people. The air-conditioned vehicle with its excellent driver was comfortable with cold water, wet wipes etc. available whenever we wanted. Highly recommended. We just finished two consecutive days of touring with both of these gentlemen and were very impressed. Not only are they pros as noted in other reviews but they navigated us through crowded Khmer new year festivities that were happening in the temple complexes. They were very patient and flexible. Did I mention all of this was in 105 degree dry heat? All to say that despite this being a challenging time to visit we had a fantastic time. Tea is wicked smart and made the visits a delight by mixing in some humor with all the knowledge he shared. He also explained many of the festivities happening around us. Tomorrow we will do outlying temples with Rang in his comfortable SUV with AC. He is incredibly accommodating and kind as mentioned by other reviewers. I feel so lucky to have been recommended Tea and Rang before leaving to Cambodia. It has made such a difference in our experience. I was traveling eithad a friend and we decided for the2 deus tour. We found out the agency through a recomendation in a travel blog. We read good comments of travelers about the agency and all of them match with the reality. First of all Siem Reap is a incredible place, beautiful views and cambodians are the best to receive us. We asked Tea as our guide for the agency ( again we made this choice due to the internet recommendations). This was our best shot. Tea was amazing. He picked up us according to the schedule. He was gentle all the time and his english is great. All the time he offered us frozen towels and fresh water. Also he is a great photographer. The best choice ever! At first we were skeptical about getting a guide for Angkor Wat, but are so thankful we did. After reading the other reviews TripAdvisor, we quickly narrowed down our choices and finally went with Angkor Wat Day Tours because of the "secret entrance" aspect of the whole day tour. We called around 4pm the day before and was told to submit a tour request form from their website. Shortly after doing that, Narith, one of the guides who happened to be finishing up a tour, gave us a ring and said he would be back in touch with us in an hour to discuss our trip. Like clockwork, he called. We got everything settled and arranged for our guide to pick us up from our hostel (Naga Angkor Hotel) at 5am the next morning. That night we went out for dinner and drinks and met a guy who was also interested in seeing Angkor Wat, so we invited him along. This made for a great day and also cut the per person price of the tour down. As planned, Tea, our English-speaking guide, and Rang, our driver, picked us up at 5am and we were off to catch the sunrise over Angkor Wat. There was no issue that we had another person go with us. There was plenty of room in the air conditioned vehicle for all 5 of us. While driving, Tea gave us the run down of the day and explained everything about tickets, water, and bathroom breaks. We got to Angkor Wat and Tea showed us the herds of people going into the walls of the temple to view the sunrise over a specific pond. We, with a few others, sat on the outside of the temple near the moat and watched the sunrise in peace while eating our packed breakfasts (not included). After that, we were off to see the sites and enjoy the day! We went the opposite way of most of the tours, giving us a much less crowded view and experience with the temples. We enjoyed lunch (not included) at a restaurant around noon and got back to the tour once we finished to keep ahead of the crowds of people. Rang always had the car cooled off and ice cold water for us when we got back to the car. Tea was an EXCELLENT tour guide. He is very informative about the temples as well as Cambodian history. He really knows his stuff and has a great sense of humor! 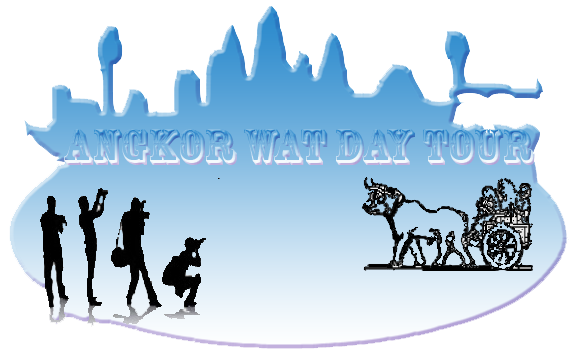 We are so thankful we decided to use Angkor Wat Day Tour. We can't recommend them enough! Honestly, the best way to see the sunrise and temples! Thanks, Narith, Tea, and Rang! We had no prior experience with temples in Cambodia. Yet this company had made us a four-day tour that suited our capabilities and needs. The tour guide, Pisa, was very informative and led us through the temples, including nicely shot photos. Tea was a good guide with a sense of humour. He knew when we got bored and tailored his "lectures" accordingly. He helped us enjoy the Angkor Wat experience better than we expected. He realised that I was interested in the local fruits and food and stopped to help me taste and buy some. Despite the heat, we had a great time. We did the Angkor Wat day tour with our guide Narith. This tour option took us to the smaller temples first, starting with Ta Prohm and finishing with Angkor Wat. By doing this, we were able to explore the temples at our own pace. By the time we got to Angkor Wat, it was relatively quiet and we did not need to navigate through large crowds. Of course, the temperature is hot and involves a lot of walking. But our guide Narith was fantastic by bringing a whole case of icy cold bottled water and cold towels for us. He also did not rush us through the temples and let us rest when we needed. Narith's knowledge of the temples and history was impeccable. He was also very funny and was a joy to listen to. His English was impressive. We really enjoyed the day. I thoroughly recommend people to choose Angkor Wat Day tours when visiting the breathtaking temples. The entire experience was excellent. Enjoyed Angkor Wat half-day tour with Narith. The beauty of the temples even in its ruins is breath-taking.The tour was well organised, the guide arrived well before time and we travelled in an air-conditioned car. Our tour guide, a very soft-spoken person, speaks fluent English and is very knowledgeable about the history of the temples. Since there is a lot of walking to do, he did not rush us and we were provided with cold drinking water throughout the tour. A very engaging person and he makes an excellent tour guide. Thank you Narith for the wonderful memories! We had whole day tour starting from 5AM including sunrise. Each and everyone of five of us had fenomenal day thanks to our guide Tea who had been really fantastics in all way. Thanks and I will recomend everyone to go to Siem Reap and use Angor Wat Day Tour same as we did. We are extremely satisfied and happy to have Tea of Angkor Wat Day Tour as our guide to Angkor Wat and a few other temples in the Angkor area on 23rd February. Tea is jovial, very professional and experienced in his field, and arranged the temple vists in a way that they did not coincide with the larger tour groups, thus cutting down queing time. Thank you Tea for being so patient, helping us take photos and imparting your vast knowledge of Angkor's history in your impeccable English. Eventhough we only had a day's visit, the arranged itinerary enabled us to see what we had expected to see. Bravo, Tea and Angkor Wat Day Tour. And to Tevi, our appreciation and a Big Thank You to you for being so approachable, your untiring effort in sharing with us the lifestyle, culture of the people of Siem Reap, not forgetting your generosity in introducing to us your local delicacies which were very nice. And Ratha, Thank you so much for putting together for us a truly interesting and memorable holiday. We truly enjoyed ourselves. Angkor Wat Day Tour is highly recommended to anyone. Fantastic experience. Well planned and organized. Pisa did a very good job explaining the temples and providing the historical background. He was friendly and flexible managing any last minute requests. We had an excellent Angkor Wat day tour with Tea who's a Siem Reap tour guide. We saw the top sights and avoided the crowds. We got plenty of cold water and an excellent choice for lunch. His english was very good, and we can definitely recommend him. Best guide ever. We learned so much about the different temples, Hindu and Buddhist beliefs and rituals, without getting bored. We had a tight schedule, but he managed to take us to the most important temples and give us a magnificent tour. My teenage daughter and I thoroughly enjoyed our one-day tour with Tea. He is an outstanding guide of Angkor Wat Day Tour (Angkorwatdaytour.com), and we concluded that Angkor Wat is the "coolest thing" we've ever seen (my daughter's words). Tea packed in a lot of sites and information without ever making us feel rushed or short-changed. He knows the best ways to minimize the crowds, is very knowledgeable and was humorous throughout the tour. Also, our driver, Mr. Ra, was outstanding. Thank you for an experience we'll never forget. P.S. Tea knows the best spots for photos and took great shots that we'll cherish forever. We had an early start to catch the sunset, and Tea was there before time to pick us up!! He tailored the tour to perfection for us; with his complete knowledge about everything Angkor and even his little quips!! Tea was extremely friendly and let us enjoy the temple complex at out own pace. Took us to a nice place for lunch, where we exhausted girls took an hour's nap on the hammocks. Such fun! Walking for nearly 12 hours was exhausting, but Tea made the tour fun and informative for us; and the endless supply of cold water and cold napkins in this car kept us going. Great tour of the complex, will definitely recommend Tea (Siem Reap tour guide from Angkorwatdaytour.com) to everyone! Excellent day with Tea. Avoided the crowds, saw the top sights, plenty of cold water and an excellent choice for lunch. Tea provided just the right amount of information and was helpful and knowledgeable. Tailored the tour to our interests. Sorry we didn't have more time. Thanks to Tea, as Siem Reap tour guide, we had a fun yet informative time in Siem Reap. He joked with the kids and had cooling towels when we needed them. He was willing to take us to a floating village as well, his English was EXCELLENT, we DEFINITLY recommend him. Best guide ever! He went above and beyond! Thanks from the Kiwi crew, Helen, Rich, Sam and Max! We had a great Siem Reap tour guide for the day, with excellent English. This is recommended as you get so much more out of the experience. We learned so much about the different temples, Hindu and Buddhist beliefs and rituals and were showed some interesting details you normally oversee, without getting bored. Although there is much more to discovery it was very hot and humid, so we were happy to do one full day, the kids would not have lasted another one. This was exactly the private Angkor Wat Day Tour my wife and I wanted. Thy was awesome and balanced the day to meet our needs. This Siem Reap tour guide Tea provided nice blend of history and let us have some alone time to explore / enjoy on our own. He also provided cold towels to cool off between stops - refreshing! Thanks for great day of memories Thy. Angkor Wat is sprawled across many square miles with many intricate and beautifully carved temples to visit. With so much to take in and see, my boyfriend and I decided to hire Tea, our private Siem Reap tour guide, for two days (at a very reasonable $145 for two people). Tea was wonderful! From setting up our tour via email to his punctual pick-up from our hotel, he made it easy. He gave us great insight about the history of the temples and helped us understand the symbolism behind the carvings. A huge advantage in having our guide was that Tea knew the standard routes followed by other guides. This enabled us to avoid the crowds by taking a different route and allowed us to take photos of the temple without being photobombed by random tourists. Also, we traveled in a car with A/C and had cold towels and water to deal with the 100 degree heat, helping the excursion to be more comfortable. Overall, Tea was very accommodating to our needs, funny, and provided us with a memorable experience. We highly recommend a tour guide if you have limited time in Siem Reap and if you decide to go with this Angkor Wat Day tour group, definitely ask for Tea! Our three days with Rithy aka Tea were perfect; Tea is the consummate Siem Reap tour guide, professional, knowledgeable, with a wicked sense of humour, he also knew how to get away from the crowds getting us into the temples via back or side entrances. He knew just where to get the best photos, and provided opportunities to be alone wondering around the temples while he fetched the car to meet us. The cold water and cold towels were a welcome gesture and much appreciated. I would recommend watching the sunrise over Angkor Wat and Tea knew the best spot even providing a mat for us which gave us much more room than the others around us. Rithy truly is one of the best tour guides I have ever met, what he and his Angkor Wat Day Tour team (Angkorwatdaytour.com) have put together is a professional and world class tour. A very big thank you for a special and memorable three days, my only regret is that it could not have been longer. Thanks to Tea, our visit to Angkor wat was one of the most incredible days of our lives! Our option was to do the Angkor Core 1-day tour, which included Bayon, Ta Prohm, Angkor Thom, Angkor Wat and 2 other small and very secluded temples that were really unique and brought a very nice touch to our visit! Tea is the most amazing tour guide I’ve ever met (I’m sure his other colleagues from Ancient Angkor Wat Day Tours are also very good): perfect English (better than mine, actually…), wonderful knowledge of all Angkor Wat’s history and culture, fantastic sense of humor, always trying to suggest the perfect photo spots and always balancing perfectly your time, providing you all the info you would want to know with enough time for you to be by yourself. Angkor wat is always very crowded, but thanks to him and his capability of taking you to each spot on the perfect time, you avoid almost 100% of the confusion, which gives you a completely different experience than if you were always mixed with all the noize and chaotic queue. When I look to all the pictures we’ve taken there, it looks like we were almost alone at Angkor wat…and that sensation wouldn’t be possible without his knowledge. Besides, he’ll give you not only a perfect guided tour but also the opportunity of meeting a very interesting and intelligent person in Cambodia. Would go with them every time, wonderful value for money, it would never be the same without them! Thank you very much! This is the best tour guide in town that I would like to recommend to everyone who wants to discover all of the interesting places in the area of Angkor city. Mr. Tea who is the tour guide is informative, professional and reliable starting from the day 1 when we have to communicate via email with him. 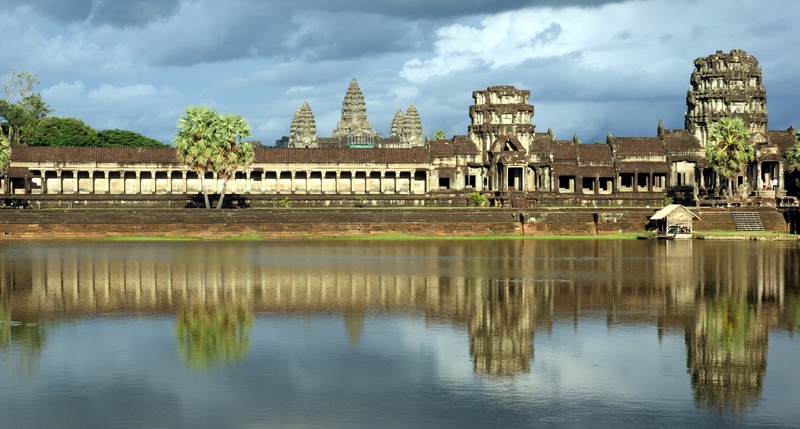 The Angkor Wat day tour program is more than comprehensive to cover all of the major spots. The service quality of this tour is excellent in all aspects. We choose this tour because of the reviews in Tripadvisor, and we would like to pass on this testimony to others who are looking for the good tour leader in Siem Reap. I would strongly recommend this service for those who would like to enjoy Siem Reap, especially Angkor Wat. Thanks to trip advisor and all the reviews, we chose Tea to take us to Angkor over 3 days. He was immensely knowledgeable about the history of Angkor Wat along with knowing much about Buddhism practiced in ancient times and currently. He was easy to chat with and very considerate about ensuring we had enough to eat and drink along with arranging the day according to our needs. Unlike some of the other tour group this company allows for changes in the itinerary so it's truly a private tour! Thanks Tea,for the best guiding ever. We have seen as mich we could and as little "touristic" as possible. We enjoyed to see real life (domestic restaurants etc.) and get domestic imformation. And all the prices we agreed never changed,there was no even try to cheat us somehow...thanks again, would you recommend to everybody. Tea showed us around for 3 days and we were so happy to have someone so informative, honest and charming to look after us. He made sure that we avoided the crowds as much as possible and put together a perfect 3 day program. It really is worth getting up early to appreciate the temples properly without having to constantly move out of the way of other tourists. We had 2 teens and a ten year old in tow and Tea managed to keep the kids involved all along the way. It was a pleasure to have met him. Three of us went for the private tour guide in siem reap via tour guide Rithy aka Tea. A professional & wonderful guide indeed where he showed us 5 amazing places such as Angkor Wat, smiling face, tomb rider, pink temple & bakor. Aside to his wonderful sense of humor & fluent English speaking accent, his photography was superb. I would strongly recommend to my friends to use his service & it's value for money as well. Thal Sopharity (aka Tea or Rithy) was an amazing tour guide who made our trip to Cambodia. Right from the beginning Tea was terrific agreeing to our 3 day customised itinerary and staying in regular contact via email in the lead up to our trip, even emailing us the night before we arrived in Siem Reap to reconfirm all of our arrangements. Our first day was action packed and Tea's air conditioned car, chilled water and cold towels were a blessing. My sister and her partner arrived in Siem Reap halfway through our first day and Tea was terrific about being able to accommodate some extra guests and adapt out itinerary to suit us. He also arranged a "surprise" for us on the second day organising a trip to a local village to experience some local "transportation" and village life. His knowledge of the temples really made the visit worthwhile and it was terrific to have someone who knew the best times to visit the various temples and the best spots to take photos. Tea was incredibly accommodating with regards to our requests and nothing was a problem. He was also able to organise a driver to take the 4 of us to Phnom Penh after our tour finished and even came to the Hotel the following day with his family to make sure the driver had found us and to say goodbye. I have never come across a guide as attentive or accommodating as Tea on all of our travels and I would highly recommend Tea to other travellers to Siem Reap. We spent a day with Rithy in June while touring Angkor during our honeymoon. We felt like we were getting the "VIP" access, as Rithy knew where to go and what time to beat the crowds. He is very nice, speaks great English, and truly added a lot to our experience with his knowledge of the temples. We got so much more out of visiting the temples by traveling with Rithy. His tour is highly recommended! It's been about a month since our first temple run in Angkor Wat but I remember how amazing it was like it was yesterday. On that first day, a cool, calm and quiet morning, we entered through the East Gate past the ancient trees. There and then, I had my first vision of Angkor Wat and my first goosebumps. Our 3 day temple run was an awesome adventure thanks to Rithy Thal Sopha and his colleague Kamsan Srang of Ancient Angkor Wat Day Tour. Throughout our tour, both made the effort to give a very private experience of an otherwise very public place: the world acclaimed Angkor sites. Funny and friendly, Rithy and San accommodated our requests and guided us to the best time and place to explore the temples, plus the best shopping and eating experience. We wandered and wondered through Angkor Wat, Bayon, The Rolous Group (Bakong was our favorite), Ta Prohm, and the Healing waterfall of Phnom Kulen that flowed from the Thousand Linga River (another favorite). Our trip was quite special because we felt, sampled, and tasted the Khmer culture. Rithy speaks Khmer history and everyday English with wonderful clarity. He surprised us with a Buddhist monk's blessing and a layman's Hindu prayers - up on a huge mountain rock with a reclining Buddha. Kamsan really made sure we were comfortable in the 37degree heat with his refreshing cold towels. We enjoyed Siem Reap so much (we have great picture proofs taken by Rithy and San) that my friend and I have decided to come back and explore the other sites with Rithy... soon. Angkor smiles! We spent 1-1/2 days with Rithy as our driver and guide as we toured the amazing temples of Angkor. Rithy was extremely professional, knowledgeable and fun to be with. He kept us interested by sharing his in-depth knowledge of the temples' architecture and history, and made the tour engaging and lively, and often very funny as well. Rithy was very accommodating and considerate of our needs, making suggestions for sights that we may not have considered, and being gracious and flexible when we added things to our agenda. The entire experience far exceeded my expectations, thanks in large part to Rithy. The next time I visit Angkor (and I hope to again!) I will be sure to contact Rithy! We're glad that we had Rithy as our tour guide. For our first day of tour, he could not make it but he made sure that we were taken care of by an equally great tour guide, Mr. Kamsan Srang and a driver, Sal. For the next two days, Rithy himself took care of us. He was caring, professional and fun to be with. He also knows the right places to go for very good authentic Cambodian food. We're so glad also that he agreed to join us for dinner on our last evening together with his wife and cute baby boy. Definitely, we will recommend him to our family and friends who are intending to visit Siem Reap soon. And for sure, when we go back to SR, we'll get in touch with him again. More power to you Rithy! My tour guide was Thal aka "Tea". He took care of me and my needs during my stay in Siem Reap. He was always on time, efficient, pleasant and knowledgable. In addition, he accomodated my last minute requests and in instances went out of his way to fulfil my needs. He was proficient in English which made it easy to communicate. He made my stay in Cambodia a great experience and enjoyable and I would not hesitate to strongly recommend him to friends who wish to visit Angkor Wat. During our recent visit to Siem Reap and the impressive temples surrounding it, we had the fortune to have engaged a wonderful tour guide by the name of Thal Sopharithy. Over a two day visit, Rithy, his nickname, provided us with a valuable understanding of the area's history, culture, artistic and architectural development, and religious traditions. With his excellent command of English, in-depth knowledge of the subject, and friendliness we came away with a greater appreciation for this wonderful part of the world that is due in no small part to his skills. Rithy ensured that we saw not only the famous temples, but also many of the smaller less visited sites which often offered key bits of information to complete a more comprehensive picture of the area. He was more than willing to adjust the days plan to accommodate our requests to visit a new site or change the schedule. A personal tour guide is the way to see the area, and Rithy is a wonderful choice. We recently visited Siem Reap and took a one day trip out to see Angkor Wat . Sopharithy Thal was an excellent guide: he spoke fantastic English and really helped us make the most of the short time we had. He planned the day so that we were able to avoid the crowds which allowed us to appreciate the ambiance of the temples. If you only have a day or two, I would definitely recommend getting a guide as it allows you to gain a really good insight into the history of the temples. The temples also cover a vast area so a taxi and guide are definitely a great way to see the highlights of the area (and you will appreciate really the aircon by the end of the day!). He also took us to sample so local cuisine at the end of the day! This is our first time visiting Siem Reap and its environs. The beautiful Khmer architecture ranging from Bayon to Banteay Srey certainly lived up to our expectations, but we were only able to gain a deeper appreciation and insight into the intricate Jayavarman-era carvings thanks to our knowledgeable and cheerful tour guide Thal Sopharithy, who also helped us take postcard-perfect photographs amidst the backdrop of the imposing Angkor Wat and other attractions. Thal was very accommodating to our requests to drop by places that weren’t on the itinerary, and and also acted as my Khmer language teacher! Although he was with us for only 2 days, we are very impressed and satisfied with his services and would highly recommend anyone going to Siem Reap/Angkor Wat to hire him as your personal tour guide. This is my second trip to Cambodia. We are lucky to have a local tour guide whose name is Rithy. He is knowledgeable, informative, helpful, flexible, patient and polite. We were picked up from the airport and taken around the first day. He took us around town and showed us the daily lives of people living in town and villages. He explained to us the significance of all the Angkor Wat temples we visited. This is one of the most memorable holiday we most experience with a good tour guide, because if you have a "no good guide", you will have a bad holiday. We enjoyed tremendously and probably will think of a third time holiday in Cambodia. 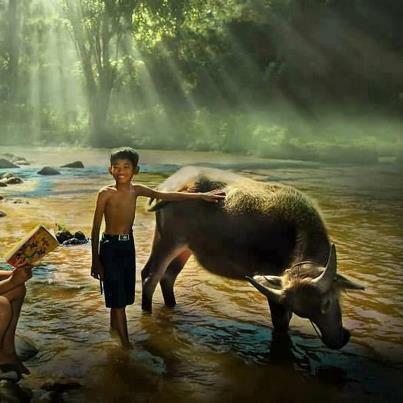 Would like to recommend all who wish to visit Cambodia. Siem Reap is one of the beautiful place to visit especially the Angkor Wat, Angkor Thom, Bayon Temple. Myself and 3 friends (Joe, Callan, Tom and Danielle) booked a 6 day Angkor Wat tour in Siem Reap and havent got a bad word to say about anything! Me and Cal arrived at Siem Reap Bus station and Tom and Danielle arrived at Siem Reap airport... we were all picked up and taken to our hotel which was very posh and well recommended (allson angkor hotel). The tour was very well organised, we were picked up every morning from the hotel at an arranged time. Everyday we had lunch and dinner included and each restaurant we ate in was very posh, clean and served very tasty local dishes! It was excellent!!! The tour its self was very informative and our tour guide Thal Sopharithy was very friendly and had a great sense of humour! We got on so well with him and our driver Ghia that on our last day were invited back to Ghia's house and for lunch his lovely wife put on a lovely beef BBQ for us with lots of garnishes and sauces and of course Angkor Beer! (see picture to see this happy time), I still keep in contact with the tour guide Thai as we had a great friendship! These are lovely friendly people and i would recommend using this company if you wanted to have a tour in Siem Reap! Included in the tour was the Silk Farm which i found amazing! The floating Village which was one of my highlights! A+ tour!!! Recommend to everyone!!! Thank You so much for making our stay in Siem reap so brilliant! I am a solo-traveler who had very little knowledge of Cambodia. One of my friends, who've been to Angkor Wat, gave me a local tour guide's contact. The guide's name Rithy, he's knowledgeable, informative, helpful and flexible. We were able to beat the crowds, even though it's the peak season. Beside the magnificent temples, he also showed me the daily life and the way people live in village and town. Finally, the tour finished with a happy, fantastic and unforgettable ending. We went to a local beer garden and tried tasty Cambodian food and couldn't believe that I dared try kind of adventurous dishes like fired beef with red ants, deep fried crickets, grass hoppers and Taranchula Spiders. I would recommend Ancient Angkor Wat Day Tours to travelers who plan to go to Siem Reap Angkor, Cambodia!!! In 2010, my parents and I were lucky to have a 3 day tour with guide Rithy Thal in Siem Reap. Rithy was extremely patient in answering our questions regarding the ancient temples and was very enthusiastic and knowledgeable in telling us about the history of the country, the temples and the culture. He tried his best to accomodate all our needs and made our travel experience very pleasant and memorable. I would highly recommend Rithy as a tour guide and Derleng tours for their excellent service. In 2011, we were lucky enough to have a 3 day tour with Thuy. He was incredible: knowledgeable, fun, and kind. He helped us tailor a tour that fit exactly what we wanted to do. We've been on lots of guided tours on several continents, and this was one of the best. When my parents were headed to Southeast Asia the following winter, we recommended they tour with Thuy as well. I think this is significant because my parents tend to travel quite differently than my wife and me... they stay in fancier places, they move at a slower pace, etc. They, too, loved the tour with Thuy! I believe this means that Thuy will be fantastic for a wide cross section of travellers. Have fun! After 3 weeks touring Vietnam and Cambodia our last 3 days were spent in Siem Reap to see the temples. Our guide Thy was exceptional, he gave us all the information then let us decide what we wanted to see and when. He knew the best times to view each temple so as to avoid the crowds and was happy to meet us at 6am before it got too hot. His knowledge of each temple was outstanding and he took lots of great photo's. The experience was made special by the little extras he organised like an impromptu picnic under a shady tree over looking the lake to Angkor Wat. On day 3 we were templed out and wanted to do something different, this was no problem for Thy he also had great knowledge of Siem Reap and facilitated everything we asked for.